As a beginner taking bass guitar lessons, students will learn beginner note reading, beginner bass guitar rhythm and technique. Once a solid technical foundation has been built, we then explore the different bass guitar genres available to a bass guitar player like jazz, contemporary, rock, pop, classical, Australian Music Examination Board Exams, musical theatre, improvisation, etc. Students will be able to learn more notes, rhythms and songs in the next few bass guitar lessons and will learn how to vary the sounds on the bass guitar. Students will find the beginner stage of the bass guitar fun, just like learning a new language and full of stories on how their improvement is related to lots of practice and structured homework. Intermediates who are looking to advance their playing technique and repertoire are advised to fill in the above music lesson survey so that we can receive more information about your current technique, bass guitar lesson history, and your future goals, exam requirements and performances. By filling in the above survey we are can ensure we do not waste any time and can move on to technical development exercises in your first class. What is the difference between guitar and bass guitar? Is reading tab for bass guitar hard? Bass guitar is a very popular instrument with a large following of dedicated students and musicians who identify themselves with it. The purpose of the bass guitar is to play the bass line of a band or ensemble which is often the line that all the band members are following. The main physical difference between bass guitar and normal guitar is that a bass guitar only has four strings, where as a normal acoustic or electric guitar has six strings. From then on, the bass guitar is a completely different instrument to the guitar, it plays a completely different musical output to the guitar and has a different technique. Anybody curious on whether to take bass guitar lessons or acoustic or electric guitar lessons, should listen to their favourite band and try to work out which particular section of the music they prefer to be producing. If it’s the low, funky rhythmic sound of the bass guitar, then the bass guitar has gained a new student. Nothing in music is hard, and nothing is simple either. Learning to read tab for the bass guitar requires lots of practice, and is very well taught beginning from the basics to intermediate tab reading. 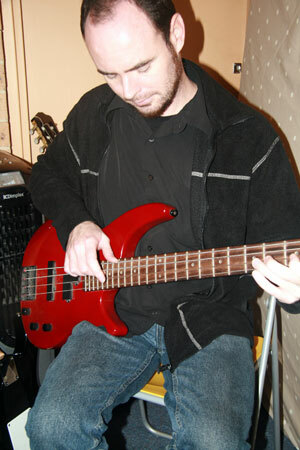 listening to the bass guitar teacher’s guidance will be able to ensure good progress. Just remember it takes a good many years to become very good at bass guitar, just like how it would take to learn a new language fluently. Again, nothing in music is hard, and nothing is simple either. Just make sure when choosing to play bass guitar that you set time aside to practice and have a good attitude to learning, and know that you will be attending bass guitar lessons for a very long time!. Everybody started as a beginner and it was just lots of effective and disciplined practice that translated to practical, life long bass guitar skills. Call us on (02) 9687 9978 or email us at enquiries@shinemusic.com.au to enquire about bass guitar lessons today!